Exhibition graphics for the MA Show at Bucks New University. 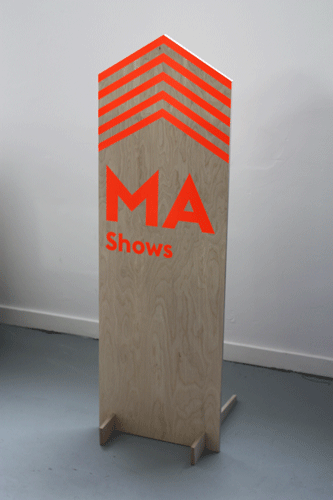 The MA Show was an exhibition of work from all of the Art & Design postgraduate students at Bucks including furniture, printmaking and spatial design disciplines to name a few. After the university exhibition, the show then moved on to the Herman Miller showroom at the National Design Centre, London. Further images of the catalogue can be found Here.